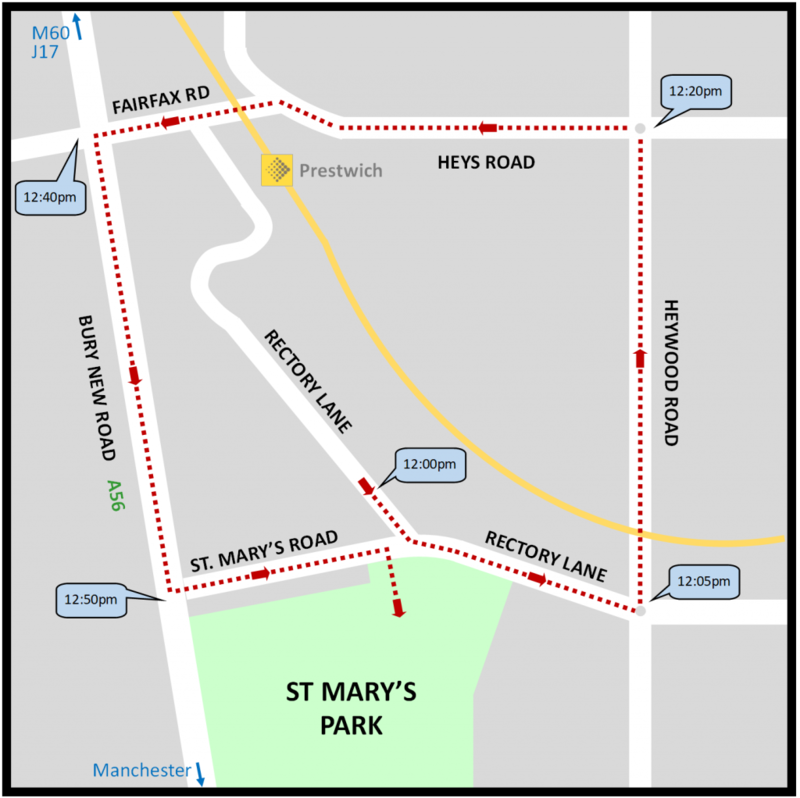 On Sunday 23 June 2019, the Grand Parade will be making its way through the streets of Prestwich, starting from Rectory Lane at 12 noon. Following your feedback, this year we shall be shortening the Parade a little by introducing a new 1½ mile route. For more information on how to get involved in the Parade as an organisation either with a float or walking group, or to volunteer as a parade marshal, please contact us to book now! … will be listed here soon!